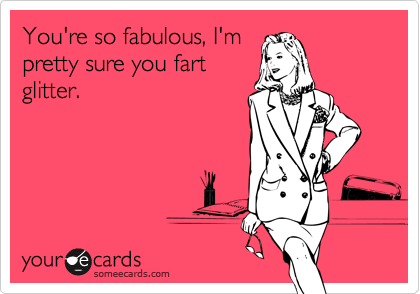 I've always wanted to be fabulous. Who doesn't? We all know a person, or more than one, who seems to be fabulous at everything they do; everything little thing they do is magic. Those hyper-competent people who plumb and wire their own homes and then build brick pizza ovens on their hand-cast mosaic patios; the ones who never seems to fail at anything. But, weirdly, since we all know one, nobody actually thinks they are one. Hmm. Maybe there are some reasons for that. Fabulous takes time. As I observed regarding my soap making efforts, there is a learning curve to virtually everything. Even in clay, new techniques take time to learn, and familiar ones take time to maintain and improve. Fabulous takes sweat and commitment. 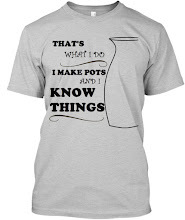 Now and then I make a pot, or a few, that strike me as fabulous. They are always borne of making several pretty-good versions and maybe a stinker or two, and of making the extra effort to get the details right. I can't think of a time when it all just fell together, although often it's some kiln or soft-clay randomness that pushes it over the edge to fabulous. But it has to be at that edge. Fabulous results require the right tools. You aren't going the throw a sleek, ring-free pots (if that's what you like) without a rib, or make delicate slip-trail with a ketchup bottle. Tools I need: among other things, some new kiln shelves and furniture. Tools matter. 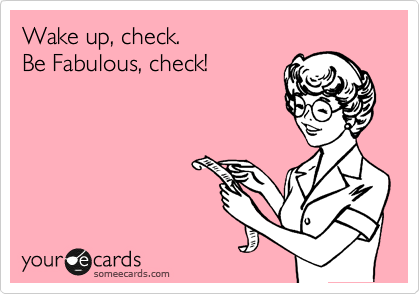 And, finally, it's okay not to be fabulous at everything.Waking up, taking care of yourself and your loved ones, doing the best you can with what you've got...some days, that's fabulous enough. It's really easy to be constantly be dissatisfied with how much we get done (or how fabulous we are). While it's good in some ways to set the bar high, we can end up being stifled by stress and anxiety or just plain forget to take care of ourselves. Maybe part of being truly fabulous is wearing relaxation and mess ups well. And let's face it, those people aren't actually as fabulous as they look. I think there's always something that we don't know, that if we did know, we'd be thankful for walking in our own shoes instead of theirs.